Some of Dr. Molgard’s favorite procedures involve complex cases like dental reconstruction. No matter what your teeth have been through in the past, we can help you achieve a healthy smile that’s both beautiful and fully functional. Implants provide some of the most reliable and predictable forms of tooth replacement in modern dental care. Plus, they can last for the rest of your life! With implants, Dr. Molgard can replace all of your teeth at one time (sometimes in the same day). Do you feel embarrassed when it’s time to smile in a photo or have the urge to laugh in front of new acquaintances? Dr. Molgard’s expert esthetic capabilities can help you transform the way your teeth look so that you have the confidence to show who you really are. We’ll customize a makeover plan that fits your specific concerns and budget with options like professional teeth whitening and porcelain veneers. Perhaps you have fairly good oral health and prefer to keep it that way. 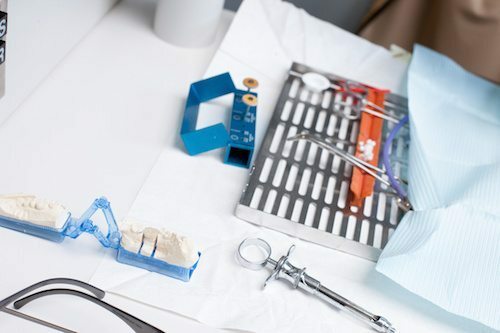 Whether you’re just due for a checkup and cleaning or need a small filling, we can do that too. Trying to get your smile back in shape may make you feel overwhelmed. It’s our job to simplify the process. Schedule a consultation with our smile restoration expert today!